Apple has been granted a patent that suggests its future MacBooks will come with built-in phone hardware, giving the notebooks mobile broadband connectivity. The patent, granted by the US Patent and Trademark Office, describes a method for embedding high-speed LTE hardware into the shell of a notebook computer, using the casing to house the antenna and, ideally, improve broadband data connections. "It can be challenging to form electronic device antenna structures with desired attributes. In some wireless devices, the presence of conductive housing structures can influence antenna performance. 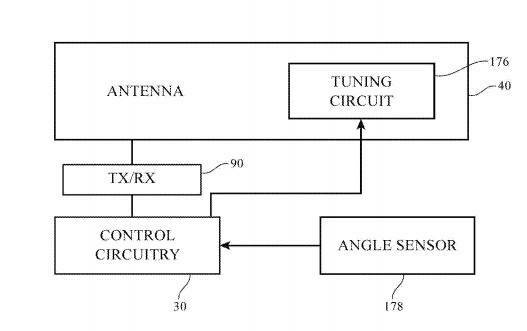 Antenna performance may not be satisfactory if the housing structures are not configured properly and interfere with antenna operation," reads the patent. "Device size can also affect performance. It can be difficult to achieve desired performance levels in a compact device, particularly when the compact device has conductive housing structures." Apple would look to solve this issue by placing "cavity antennas" around the hinge and openings between the upper and lower portion of the notebook's metal casing, and sensors that would adjust the antenna when the case is opened at various angles. The result, they hope, will be a notebook with better mobile broadband internet connectivity: the antennas can be designed to work with radio frequencies in cellular and Wi-Fi bands, such as 960MHz, 2.17GHz, 2.4GHz, 5GHz, and support MIMO. The patent – US number 9,397,387 – was awarded to Apple with Jerzy Guterman, Edward Sweet, Huan-Chu Huang, and Daniel Boothe listed as the inventors. Apple does not currently offer built-in LTE connections on any of its MacBook models. The iPad does offer it as an option for an extra $129.